Klaus Schulze turned 71 on August 4, 2018 and he is still releasing new music, though he has slowed down over the years. His discography is so massive, it is a challenge to comprehend, Silhouettes is either his 45th solo album, or his 106th release if you include all of his collaborations, multi-disc sets, etc. Either way you look at it, Klaus Schulze is one prolific musician, dating all the way back to the late 60s. On Silhouettes Klaus presents four lengthy compositions ranging from 15 to 22 minutes. I have been excited to listen to this new release, but I have had to delay gratification as I plowed through my review queue. And I am glad that I waited. The disc opens with the title track, a drifting ambient composition that is classic early abstract Schulze. The mood is akin to watching cigarette smoke slowly curlling in the air. After about 10 minutes Klaus’ signature sequencers begin to peek through the music. The second track, “Der Lange Blick Zurück,” German for “The Long Look Back,” is reminiscent of his Moondawn / Mirage phase with slowly shifting synth chords and choral washes. Around the eight minute mark a percussive tapping sequencer takes over to drive the music. “Quae Simplex” starts immediately with sequencers, crystalline patches, and his classic digital sound that he pioneered on Dig It. The album closes with “Châteaux Faits de Vent” or “Castles Made of Wind,” another example his skill at composing floating ambient music propelled by sequencers. 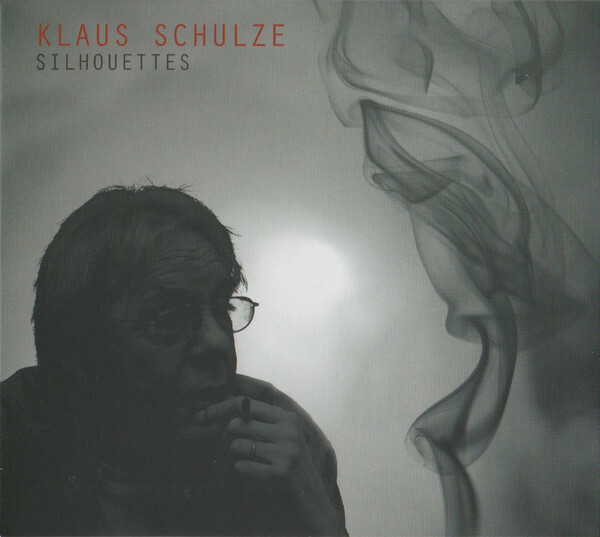 Silhouettes is Schulze revisiting the last five decades and skillfully avoiding his doldrums when he became enamored with samplers. Silhouettes is an excellent album and so far removed from anyone else in the genre. No one can come near to what the maestro has produced.